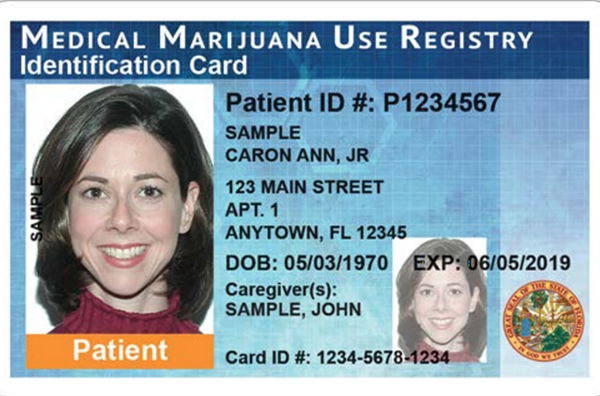 Plenty of people talk about how they’re definitely going to get their medical marijuana card so they can start getting Florida’s new legal pot, but Orlando Weekly contributor Rebecca McKay is one of the few people we know who actually went through the red tape to get hers. We talked with her briefly about her experiences, both good and bad, and found that, for her, getting her card wasn’t all it was cracked up to be. OW: Hi, Rebecca! Congratulations on getting your weed card! How’s your experience been so far? I’ve been diagnosed with severe panic attacks for more than 15 years. That gave me the more general diagnosis for anxiety. 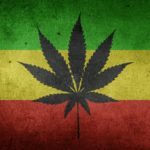 I took the diagnosis from my regular doctor to a marijuana-recommending doctor. (I used DocMJ.) Ostensibly, they reviewed my diagnosis and approved me but it didn’t feel like that. Pretty much. I walked in, they took my blood pressure and that was about it. I tried to explain my situation to the doctor but he didn’t ask any questions or question any of my paperwork. He just started talking about what sorts of weed were available and what effects they could have. I haven’t shopped around too much, so I can’t say as to variety. I will say none of the products sound like medicine, particularly for such a clinical process to get in. You sit in a waiting room and give them your ID. Then they call you back and you talk to a rep who starts showing you products. At the ones I went to, they had brochures that listed the different strains that were available. They had about seven indica, maybe the same for sativa, and about 15 hybrids. Yes. I haven’t been since the smokables became available, but I understand you have to get a separate prescription for those anyway. Did you have to pay in cash? You hear a lot about how “weedpreneurs” can’t get bank accounts or credit card processing services. Yes, I did. But there’s an ATM right inside the dispensary I go to. Well, the sad part is mostly none. I’ve had two panic attacks on the weed. 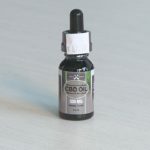 I tried daily CBD oil, but the reps didn’t have any recommendations for dosing, so I think I wasn’t using enough. I didn’t notice any difference anyway. I have the same random pains that I’ve always had that trigger the anxiety. 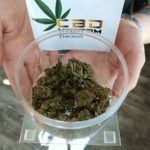 And anything with THC is too strong to use during work or daily functioning to be of use in treating when the anxiety arises. I’m still using a little bit before bed each night in hopes that over time it helps, but so far, it hasn’t changed anything medically.